Mumbai: Beleaguered businessman Vijay Mallya is listed to appear before a special court in Mumbai on Monday as part of the first action initiated against an absconding accused under the newly enacted fugitive economic offenders law. 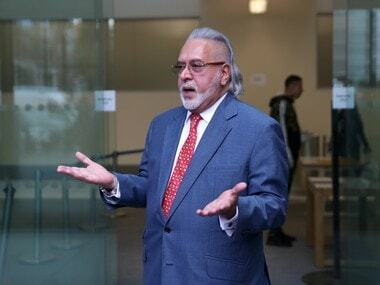 Official sources said while it is certain that Mallya may not appear in person as he is contesting an Indian extradition case in London, it is expected that his authorised legal representative may submit a reply to the court of special PMLA judge MS Azmi as part of his official response to the notice. 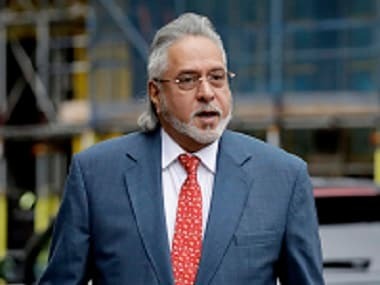 The same court, on 30 June, had issued notice to Mallya to appear before it on 27 August after the Enforcement Directorate (ED) charged the liquor baron under the new law as it enlarged its money laundering probe against him and others in a RS 9,000 alleged bank fraud case. The next course of legal action under the fugitive economic offender law depends entirely on the decision of the court, they said. They had earlier indicated that if Mallya does not appear before the court, he runs a risk of being declared a fugitive economic offender, besides orders being issued for properties linked to him being confiscated. Mallya, in the past, has said that he has become the "poster boy" of bank default and a lightning rod for public anger. "I have been accused by politicians and the media alike of having stolen and run away with Rs 9,000 crores that was loaned to Kingfisher Airlines (KFA). Some of the lending banks have also labelled me a wilful defaulter," he said. Modi government brought the new law as "there have been instances of economic offenders fleeing the jurisdiction of Indian courts, anticipating the commencement, or during the pendency, of criminal proceedings". A fugitive economic offender is a person against whom an arrest warrant has been issued in respect of a scheduled offence and who has left India so as to avoid criminal prosecution, or being abroad, refuses to return to India to face criminal prosecution," the government had said.